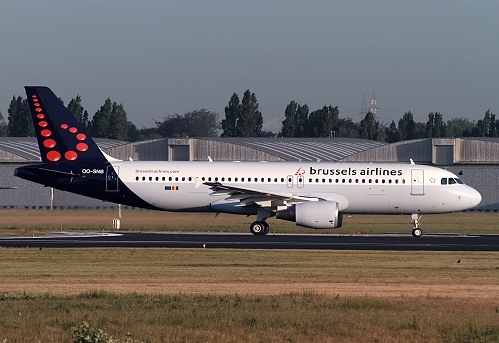 Description: second A320 for Brussels Airlines, second hand but in their full colors, was delivered at Brussels on April 21 2011 still with "D-ALTD" registration of previous operator Air Berlin, here depicted such awaiting its ferry from Dusseldorf. Description: it was reregistered on May 2, made a test flight on May 20, became operational three days later and still current. 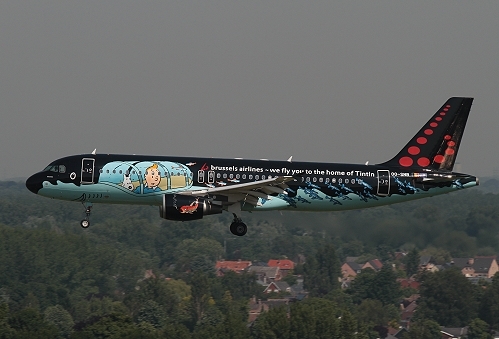 Description: on March 4 2015, it was ferried to Ostrava to be repainted with cartoon "Tintin" 100th anniversary colors and ten days later such rolled-out of the hangard. 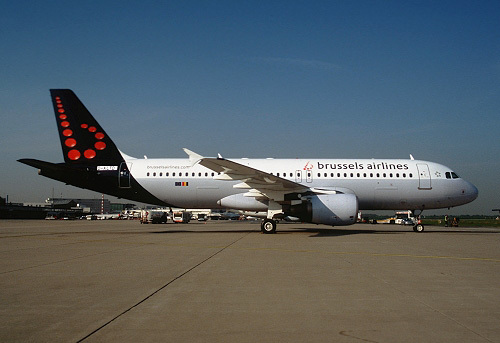 It came back to Brussels on March 15 and went operational the next day. Description: left side which is nothing more then a perfect mirror of the right side.